We hope that you will find this website a useful resource for both the Club’s activities and for other related gardening information. The details of all of the Club’s meetings and other events are clearly shown with much more information available for those who require it. Click here for the current programme, which includes details of our 2019 outings to Bryncelyn, in May, and Stoneyford Cottage Gardens and Ness Botanical Gardens, in June. There is also an evening visit, on July 2nd to Whitehurst Gardens Chirk. Access to information on past events can be navigated to by scrolling down to the links at the bottom (in the dark area) of this and every other page. They can also be navigated to, from the appropriate year Programme page, and clicking the link in the “Info” column, appropriate to the meeting. The last meeting on April 11st a talk given by Christine Scott entitled A Little Bit of what you Fancy – hints and ideas for garden design. For more information on the meeting click here. This will be our third meeting for the new monthly competition. You can find out more about how and what to enter by clicking here. 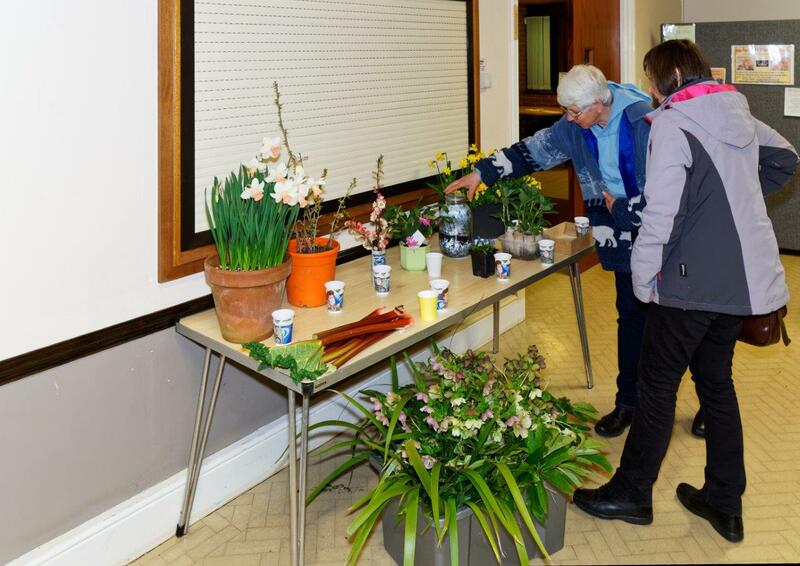 There was a wide variety of entries at the meetings in March and April: these ranged from colourful displays of springtime plants, to home propagated and grown plants and vegetables; to have a look at the entries for March click here. As you will see below the Club is affiliated to the RHS. Explore the website for more information about the club and its activities.